“Greeks in Public Service”, a panel of five key figures in government co-presented by The Hellenic Lawyers Association and Hellenic Professional Women Inc. at Wells Fargo Connections on November 29, offered an enlightening view of active cooperation among public servants for the public good. 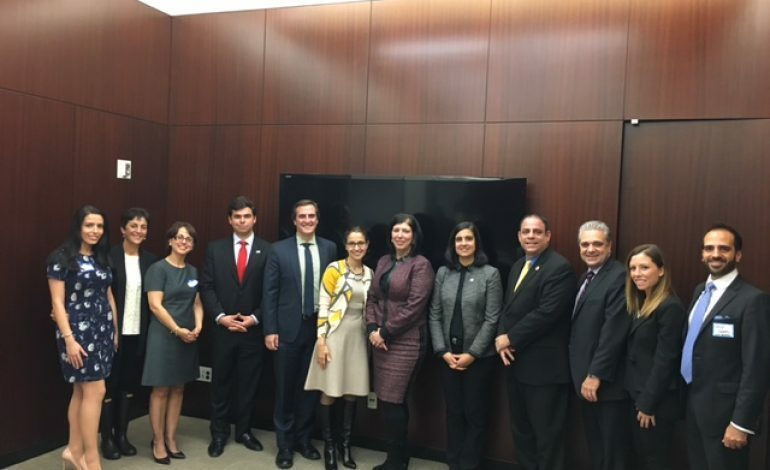 The speakers were Michael Gianaris, New York State Senator; Nicole Malliotakis, New York State Assemblywoman AravellaSimotas, New York State Assemblywoman Madeline Singas, Nassau County District Attorney, Costa Constantinides, New York City Councilman. It was clear that their standards are very high and that their priority is to give back to the community, with education, health, legal education, legal assistance, and support for diversity being priorities. Peter Metis, President of The Hellenic Lawyers Association and Maria Frantzis, President and Founder of Hellenic Professional Women Inc. who both greeted and welcomed the audience, are to be commended for bringing these speakers to the public as a group. “Greeks in Public Service” was significant not only for the Greek American community but to the general public who attended. A member of the audience who was not of Greek heritage found the presentation “impressive and enlightening”. Presenting the relationships between the members of this specific sector of the Greek American community and their relationship with the general public, “Greeks in Public Service” was a fitting follow-up to the AHI’s recent 10th Annual Future of Hellenism Conference for several reasons. First, the moderator of “Greeks in Public Service”, John Catsimatidis, Jr., a second-generation Greek American who, following in the footsteps of his family, is already recognized for his various political and philanthropic activities while also working on the energy and investment divisions of Red Apple Group’s businesses, exemplifies the hopeful “carrying of the torch” by the new generation. (This topic dominated the conference, where both pessimistic and upside viewpoints on the future of Greek America were expressed). their parents’s emphasis on hard work, education, and responsibility toward the reputation of the family and the church community, “doing right for the entire community”, as Costa Constantinides said. 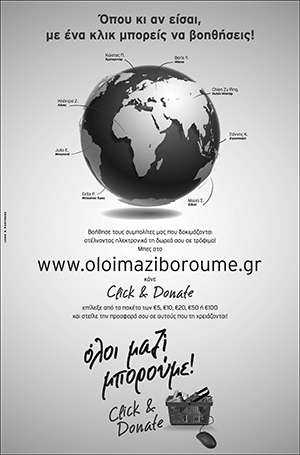 While it was repeated that “all politics are local”, it was noted that financial support for Greek candidates comes from within and from outside the local area. It also was a general consensus that the Greek Community country-wide, no matter their political leanings are, unite in supporting Greeks who run for public service. Questions that Catsimatidis put to the panel: Has your Greek heritage played a part in your career; How does Greece affect what you do; How do you see millenials; What advice do you have for people running for office? (Gianaris: “Are you sure you want the job. You need the passion. don’t do it for the glamour”); What has been your most rewarding experience so far? (Singas: When justice is served it is ultimately the most gratifying); Can you give advice on how to get involved in public service (Constantinides: “Put in your time, knock on doors, what can your organization give to the community). The relevance of this discussion to the Greek American community suggests that perhaps a panel along the lines of “Greeks in Public Service” could be introduced into the 11th Annual Future of Hellenism Conference. Hellenic Professional Women Inc.’s mission is to foster empowerment through relationship-building and programs for professional growth. The organization is dedicated to inspiring and supporting the advancement of Greek-American women at all professional levels. The Hellenic Lawyers Association of New York was founded to establish a network of attorneys of Hellenic descent and to provide opportunities for professional development. Madeline Singas, Nassau County District Attorney, was a 2015 honoree of the association.